Even though Haji Lane is in the Kampong Glam neighbourhood of Singapore, it is nothing glamorous. In fact, the shophouses along this lane are pretty old and some of the back streets can be described as grubby looking. However, the place is unique and charming in an arty sort of way. I haven’t explored the place fully but every time I head that direction, I’ll stop to take some pictures. So these were some quick shots taken awhile back – pictures of shopfront displays of a few independent fashion boutiques I chanced upon. 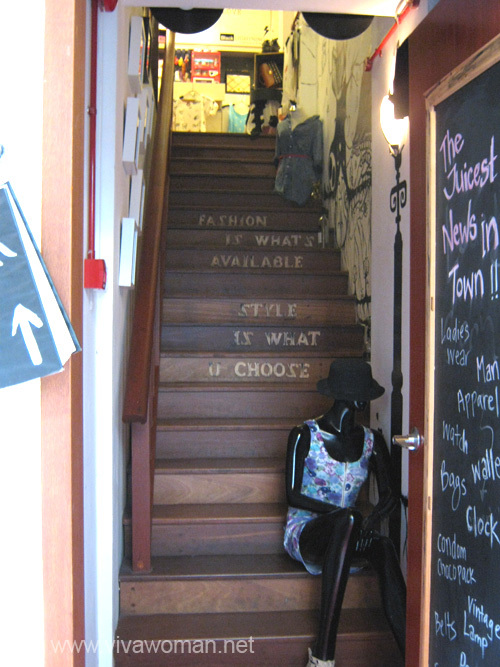 Love the wall illustration here that extends from the exterior of the shop to the interior. It took me awhile to figure out the name of this one. Is it Eighty Two Ales or Eighty Two Tales? 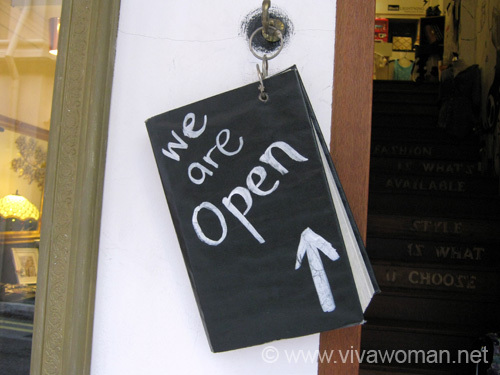 My favorite is the chalk board style ‘we are open’ signage. But where exactly is that little arrow pointing to? 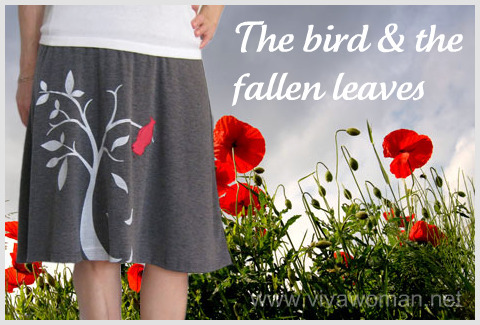 Here’s a slightly different one from another boutique. ‘Come on up! We’re open!’ Clear and inviting ya? This mannequin is double duty! Usher and model all in one! It probably has a different daily outfit but that message on the signage is definitely the same yesterday, today and tomorrow! The shop didn’t catch my attention but this sign board sure did. 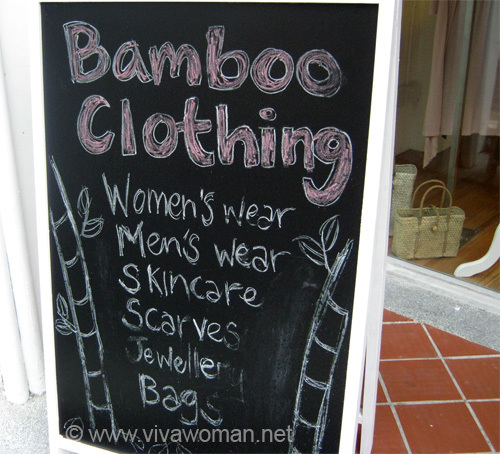 Don’t you think the skincare looks kind of out of place…bamboo clothing skincare? Okay, love all the mail boxes. This one stands out with the illustrations that is in line with the theme of the shopfront. 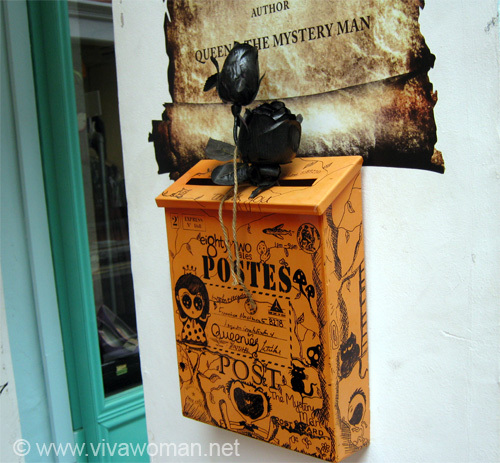 Do you find those black roses looking too mysterious? All I know is, this box is not ready to receive mail. But this one on the other side of the wall is! 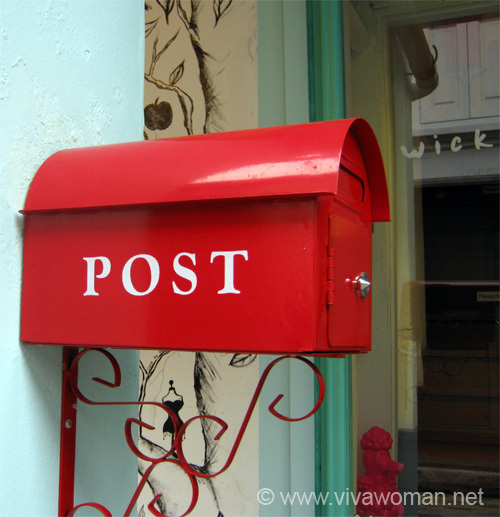 Just one simple, red box screaming out ‘POST’. I think ‘FILL ME UP’ would be better. 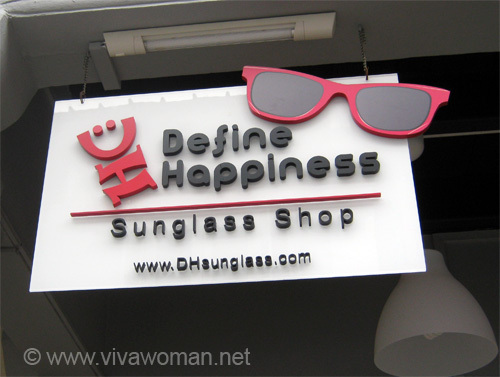 And I like the name of this sunglass shop – Define Happiness. Find me a pair of pink sunglasses that I can wear with glee! I loved looking at your photos, even though I didn’t see any fashion I would wear. I just saw an article in my local paper about the new-found interest – even by your government – in wanting Singapore to be known as a creative place. This is a start! Ah that…they’ve been saying that for years but the initiatives are well…rather limited. 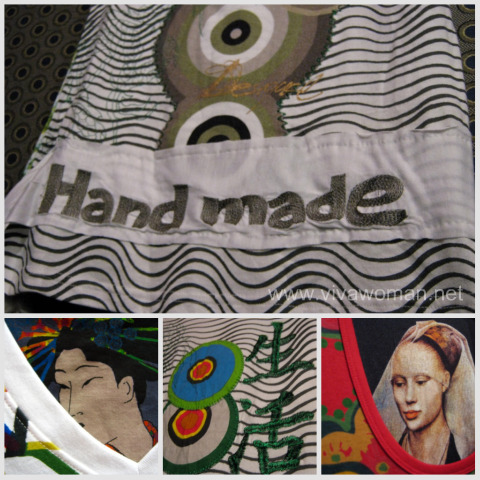 We’re unlike Thailand, where the local pple support their own brand so well. 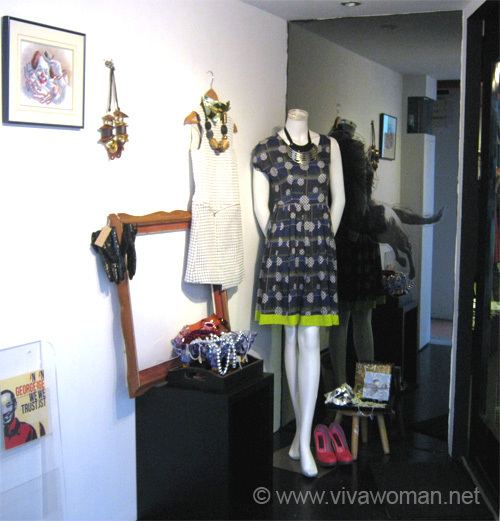 But yes, Haji Lane is a place for the independent designers. very stylist, i like that, will go there shopping one day! Yes, find some time to explore that area. Quite nice stores around.